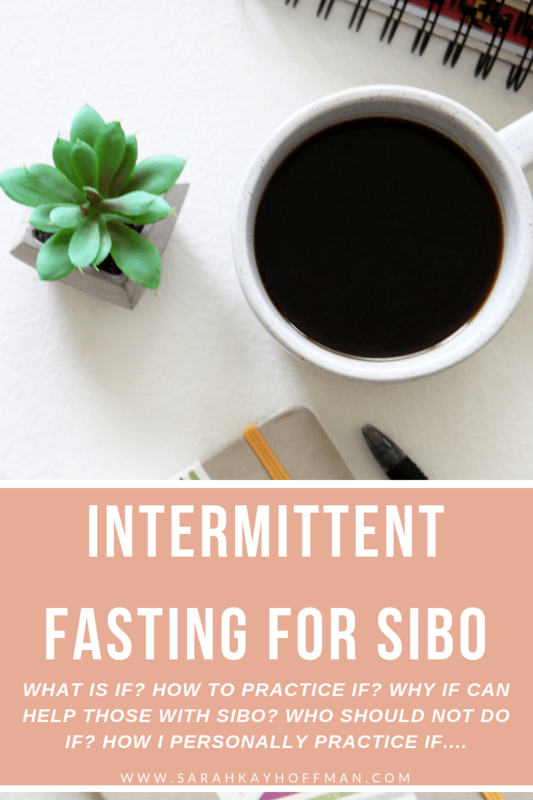 I want to help you explore if intermittent fasting for SIBO might be an appropriate option for you. Try Intermittent Fasting. I still want to do a whole blog post on this one because it has helped me, but Intermittent Fasting (IF) at its core means you go a long(er) period of time without eating anything. Again, for women, I still believe that you have to tread lightly for anything over 12-14 hours. I do about 12-14 hours, 3-5 times per week, and I think it has truly helped. Essentially, you’re just giving the digestive system a break. It is, literally, no more or no less complicated than that. What can be perceived as a little complicated about IF, though, are the many different patterns of eating you can choose. If you want to follow a doctor who is intelligent and informative, check out Dr. Amy Shah. She shares a ton of information about IF. I could write out all the ways for practicing IF or I could keep it super simple and show you via an awesome visual from Dr. Amy Shah. During the feeding window, you eat as you normally would. If you have SIBO, and it’s active, you should eat high-quality, nourishing foods to help heal your gut without including FODMAP foods. 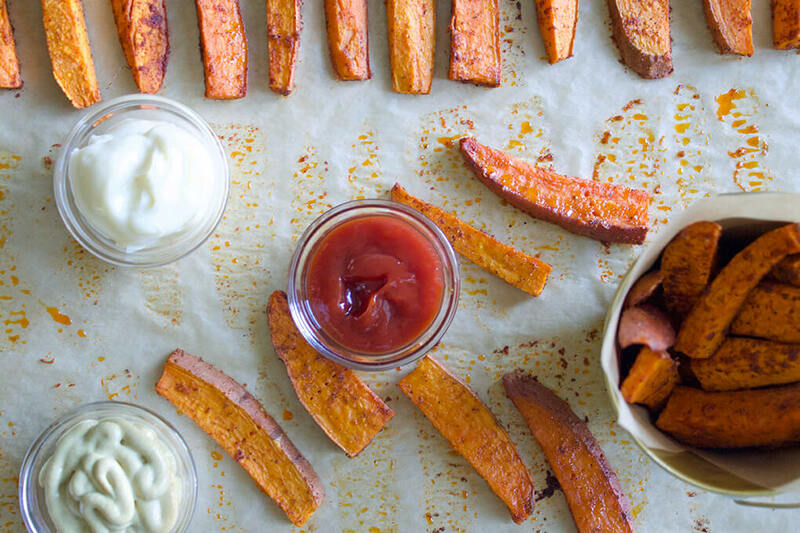 HERE is a list of my favorite low-FODMAP foods. In the graphic above, you can see all the benefits associated with IF. Do I like the list? Of course, but that isn’t why I chose IF. I chose to practice it because it can help those of us with SIBO. IF helps with both of those. When our digestive system is given a break, the body is not processing anything and thus, there is nothing to feed the plethora of bacteria in the small intestine. The migrating motor complex (MMC) is a cyclic, recurring motility pattern that occurs in the stomach and small bowel during fasting; it is interrupted by feeding. It occurs every 90-120 minutes, but only while fasting. Normalizing the MMC could help with SIBO relapse and initial occurrence. With all the research out there on IF and its health benefits in general and for SIBO, I personally do not believe it is for everyone. And when I say “it” I mean doing IF the traditional way (the graphic above) with super long and extended periods without food. Women with hormonal issues and women in general. Dr. Amy says, “The problem with fasting too aggressively in women is that we are so sensitive to “starvation signals”. If our body senses that there is starvation it will turn up the hunger signals – such ghrelin.” When the body senses starvation you run the risk of irregular periods, infertility, poor bone health and other health effects. (source) Take it from someone who knows; it’s not worth it. People with Diabetes or those taking medications for low blood pressure. Those with a history of eating disorder. If you’ve ever had a past that includes any sort of eating disorder, traditional IF can be extremely triggering. This makes logical sense; long periods of no eating (except maybe some black coffee with coconut oil) with the “bonus” feeling of accomplishment and weight loss. I realize that there are people out there who will say IF is for anyone and everyone; but really, it’s not. As mentioned above, I do 12-14 hours usually, and average about 3-5 days per week. For me personally, given my history of low-functioning thyroid and adrenal fatigue, going over the 14 hours feels far more stressful to my body than the extra benefits it might provide if I held out longer. Note: “Normal” people don’t eat that last meal until 7 or 8pm at night. That’s why and how I am able to eat much earlier in the morning. Keep in mind also that I’m up around 4 or 5 am, so by 7:30 or 8 am, I’m really ready for a big breakfast. Lately I’ve been doing IF closer to 5 than 3 days per week, but the reason I’m not stringent on anything is that I don’t want the stress of feeling like I have to. I’m simply trying to IF for gut healing reasons without stressing my body out, even to the slightest degree. And I believe it’s really, truly working. I’d love to hear your experiences with IF. Do you do it? Have you tried it? Is it working for any piece of your gut healing? Has it negatively affected you? Let me know in the comments. Thank you for this article. I have been battling SIBO for the past year plus and this is super informative. Most articles and information are a turn off because of the tone and way the info. Is conveyed. However, you are very to-the-point and encouraging. Thank you.